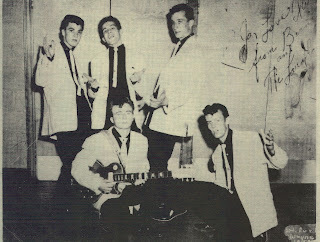 THE LARADOS-Dearborn,Michigan (UNRECORDED GROUP) 1955.
this is the original and first Larados group formation consisted of left to right;Verner Parker(Guitar),Joe Palazzolo(Lead and First Tenor),Rich Gilber(Baritone),Gary Banovetz(Second Tenor) and Brad Bamber(Bass). 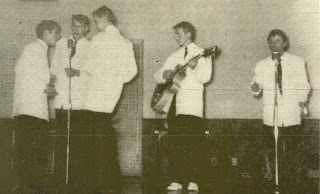 Left to right;Arnie Seleski,Brad Bamber,Gary Banovetz,Vern Parker and Steve LaCotta. 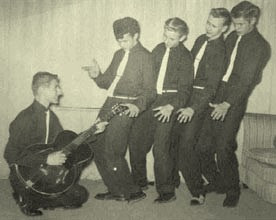 3rd LARADOS GROUP,1957 (UNRECORDED GROUP). 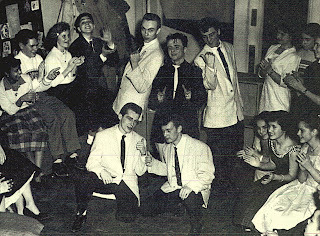 The 4 th LARADOS GROUP,LATE 1957 (RECORDING GROUP). 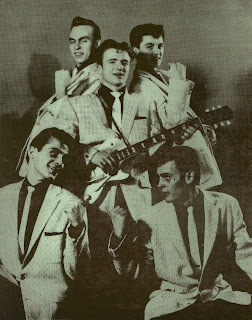 Top left;Don Davenport.Top Right;Bob Broderick.Center;Tom Hust.Bottom left;Bernie Turnbull.Bottom Right;Ron Morris. 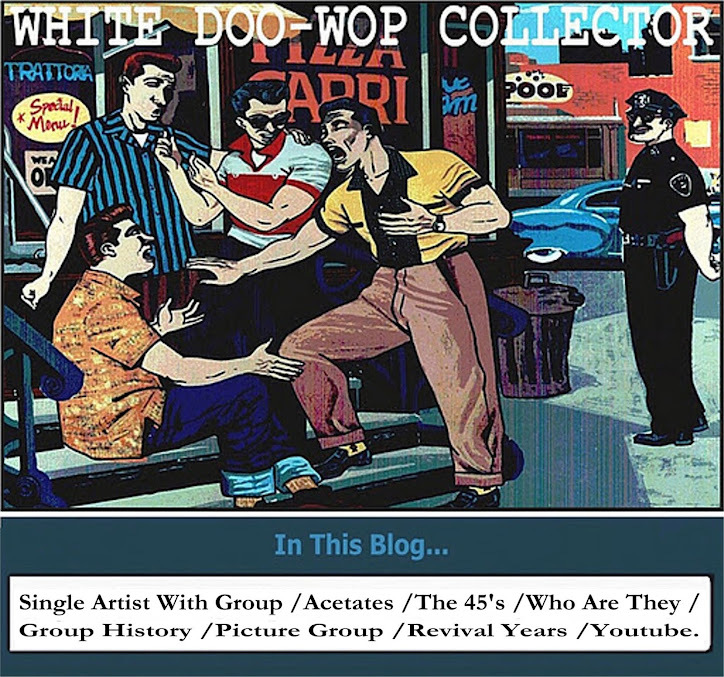 They recorded in 1957 for Fox Records_Bad,Bad Guitar Man/Now The Parting Begins. and have in this same year as unreleased songs_Angels In Haven/Rock & Roll Mama. 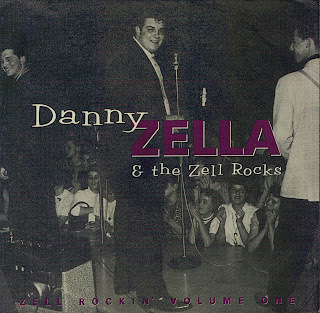 In 1959 The Larados(4th Group) backing up to Danny Zella & The Zell Rocks for Fox Records on_Wicked Ruby/Black Sax. And for Dial Records on_Sapphire/You Made Me Blue.